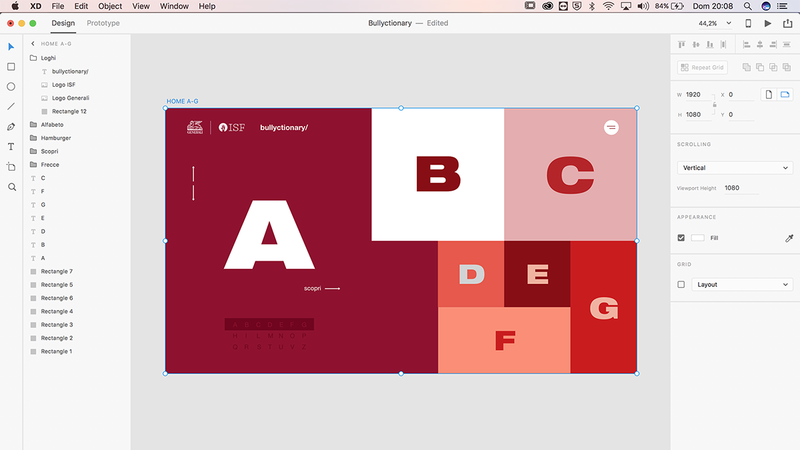 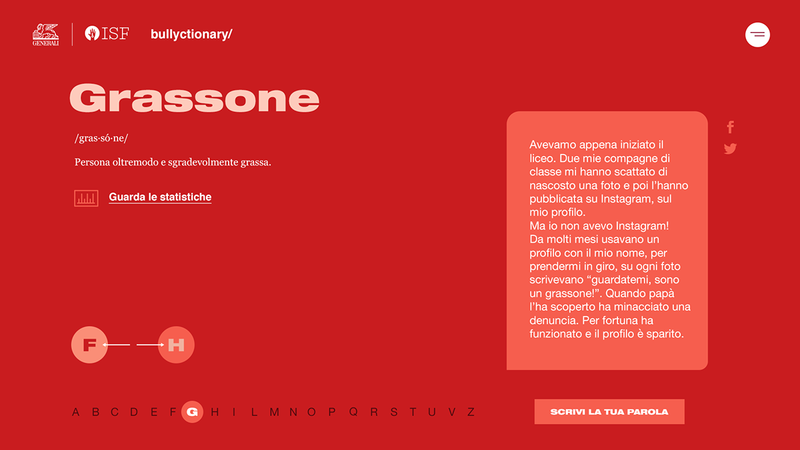 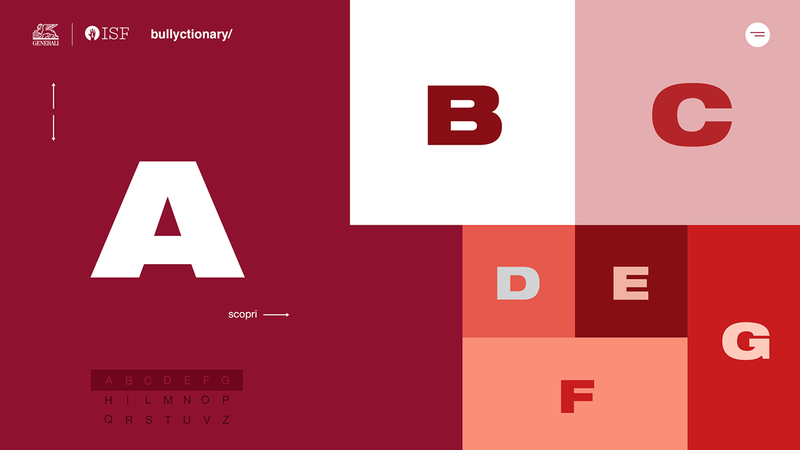 Bullyctionary is the first collaborative dictionary against cyberbullying. 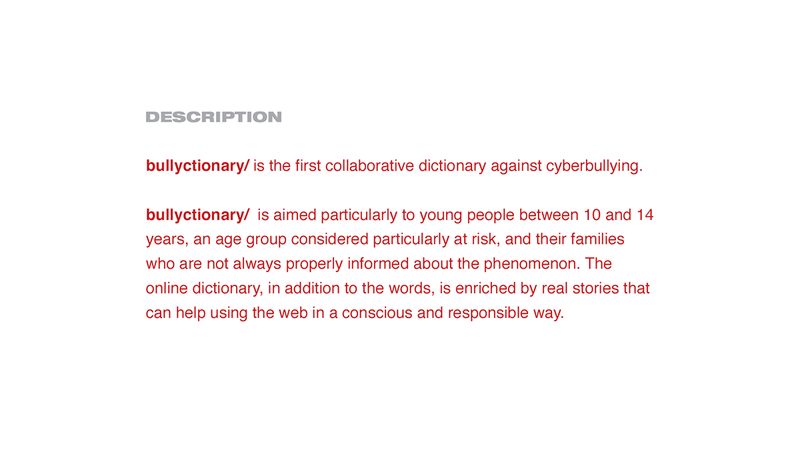 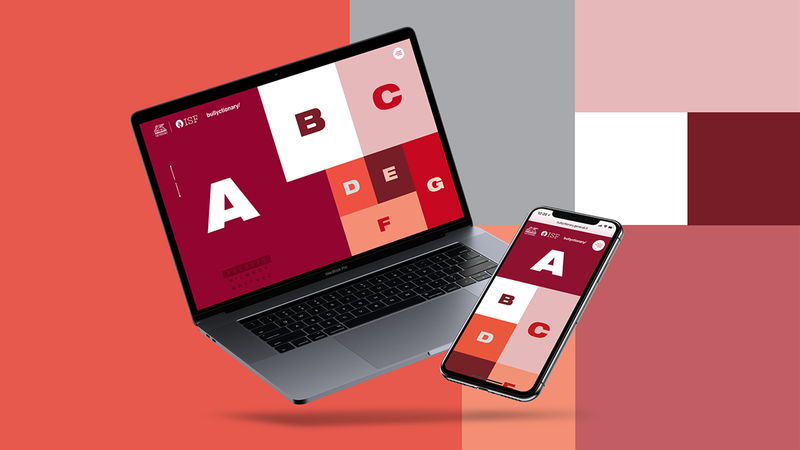 Bullyctionary is aimed particularly to young people between 10 and 14 years, an age group considered particularly at risk, and their families who are not always properly informed about the phenomenon. 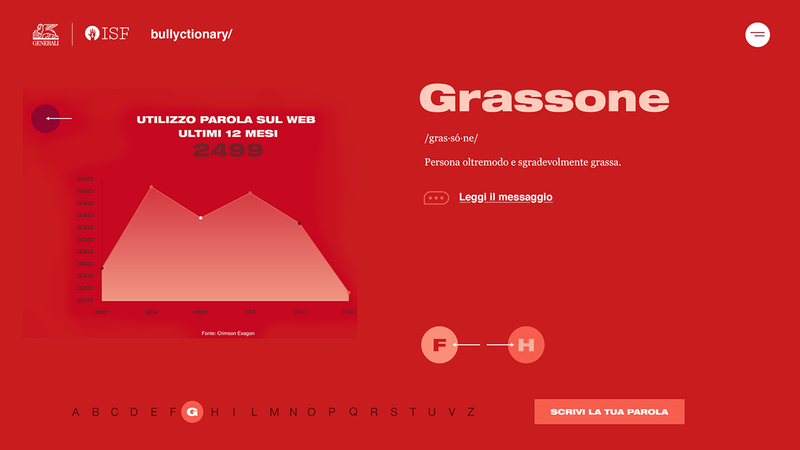 The online dictionary, in addition to the words, is enriched by real stories that can help using the web in a conscious and responsible way.